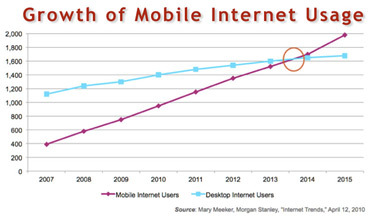 The world is going mobile. It’s no longer a prediction, it is here. Your particular industry may be a bit ahead or a bit behind but it’s happening. If you’re B2B you may be a bit behind and B2C companies are likely ahead. Having a Small Business means you want to stay where your clients are. They are on mobile and so you should be there. Have you ever seen a computer screen website on a mobile screen. Go to your phone and look at your site. Do you have a tablet? Have a peek using that. I need reading glasses and I can tell you that even with pinch to zoom it’s a real pain. So you need a mobile website. There are many ways to address it. There are some tools that will convert existing websites and do a fair job of presenting the information. But chances are you will want to have different content presented because people don’t use their mobile the same way they do a computer. I suggest managing your mobile website separately. 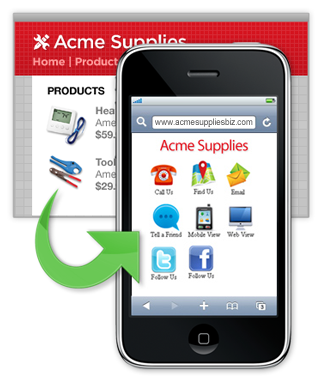 Yes you must have two different sites but the content is mostly cut and pasted from Desktop site to the mobile. You will need to keep up both sites with changes. For those of you that like more technical information here is some lower level details. Otherwise get to outsourcing or whomever can do a good job with it. I have used Google Sites tool to convert a website to mobile and it was okay but nothing to write home about. I’ll try to post a few more on an update.